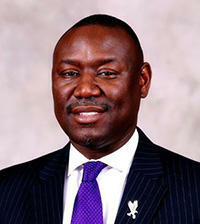 On this edition of In Black America, producer/host John L. Hanson Jr. speaks with Benjamin Crump, civil rights attorney. Crump gained national prominence by representing clients in some of the most important and contentious high-profile cases for African-Americans. Crump talks about being an attorney, why he believes in fighting to preserve the advances in justice and equality that people of color achieved during the civil rights movement, and representing the families of African-Americans shot and killed by police.